A winner at Royal Ascot in 2014 for Willie Mullins, Ryan Moore and the Supreme Racing Syndicate, classy dual-purpose performer Pique Sous makes his return to racing action after 241 days off the track. The talented grey tasted victory over course and distance back in 2013, one of eight career wins. He has had his fair share of training problems since but connections are hoping that the 10-year-old can show enough spark this evening to merit a lucrative throw of the dice in the £100,000 Winter Derby at Lingfield on February 25. He will face stiff opposition from the Matthew Smith-trained Winter Lion, who has won his last two starts over today's course and distance. Meanwhile Colin Kidd's Rashaan is of obvious interest having his first start since dishing out a beating to Apple's Jade and Petit Mouchoir over hurdles in November. Winter Lion and Pique Sous are the only two out of the ten runners that go to post to have tasted success over course and distance. 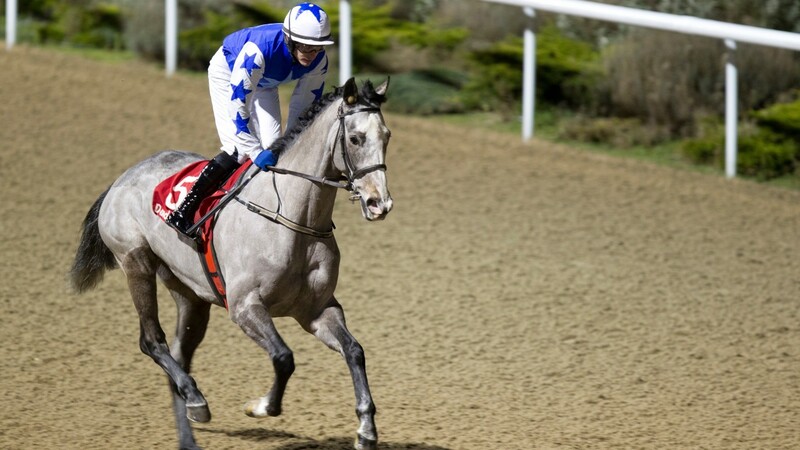 He's ran a few times on the Flat for us as well as mixing it over hurdles but this will be his first time on the surface at Dundalk. Hopefully the track will bring out the best in him as he has been working well at home without delivering on the racecourse. We are hoping for a nice run. I was very pleased with how Brokopondo came out of his last race and decided to let him take his chance in this. He's up against it at the weights but he's very tough and I wouldn’t be surprised if he were to run a blinder. The calendar is poor for middle-distance maidens and I'm somewhat forced to run Monrovia in this as I would prefer to start him off over shorter. He will need to be very smart to figure. The Winter Derby is our big-race aim. It may be a big ask given the quality of the some of the other entries but he certainly warrants an entry and whether he runs in the race or not will be left up to Willie [Mullins]. We are hoping to get three runs into him so he is qualified for the Marathon final on Good Friday and he's ready to start back here. He seems to be in good form and he comes here after a break as we gave him a few easy weeks after his win in the WKD Hurdle in November. He's won on the Flat for us and this looks like it is a nice opportunity to get him back motoring again. He’s ready to roll but should still come on for the run. We have no major plan in mind for him just yet – we’ll just get this run out of the way first. He loves the two miles around Dundalk. This is a tough race with Rashaan and Pique Sous in opposition but hopefully he will run his race again. She has been good since winning over 1m4f here last month. I’m hoping that the step up in trip will be okay for her and if it is hopefully she can run well again.